Robinson Glen Markham is an upscale well-built, innovatively designed residential project with spacious and well-suited apartment blocks according to the demands of the customer base it provides for. It comes with major locational and social amenities for all prospective buyers with two gorgeous towers. Robinson Glen 4584 Major Mackenzie Drive East is of a condominium style and townhouse type residential project development, in its stage of preconstruction. 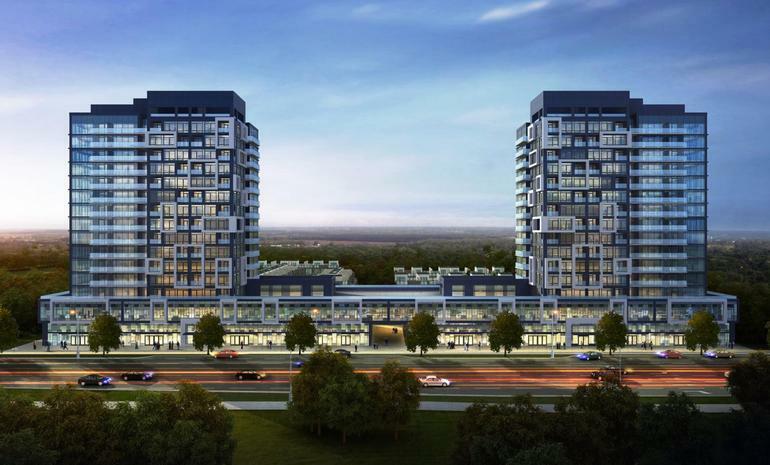 It is being designed and developed by Ideal Developments at 4584 major Mackenzie Drive East, Markham. Robinson Glen Amenities comes with major locational features and great social and civic amenities. It has supreme retail locations and provides easy and quick access to the 404 highway located extremely close. It has a special Robinson Glen Community Centre. The location is such that there is direct access to Toronto. You can expect to see 3 BHK and 4 BHK fully furnished units with panoramic view and gorgeous open landscape surrounding the complex. Robinson Glen location is in a very scenic and green areawith the Robinson Glen Golf Club in close distance. The development spans an area of 5 acres. It provides a very minimal distance, about a small walk, from its location to a major intersection of the Kennedy Road and Major Mackenzie Drive. It takes about 10 minutes via car and around 30 minutes by public transits like buses to reach Downtown Markham. It is a biker friendly neighborhood with many important bus lines like 25 Major Mackenzie, 402 BUR OAK located at short distances of 0.2 and 0.3 kilometers respectively. The location comes with major day-to-day benefits like banks ATMs and hospitals in the close vicinity. There are adjoining pharmacies, schools and areas of daily necessities too present in the surroundings. Apart from this the location is surrounded by sweeping greens of the golf vistas and sprawling scenic beauties of the location. The area is very conducive to cycling, biking and nice walks down the greenery. With the presence of parks and also the Robinson Glen Community Centre, there is plethora of options for a healthy cheerful and social way of living. Ideal Developments is a real estate development company based in Canada. It is involved in developing town house styled residential buildings across Canada. It focuses on elegant and green living displaying superior architectural qualities. It builds innovative and supremely stylized manor collectives and townhouses for a customer base that wishes to live amidst the purity of nature in urban styled dwellings. High standards of urban living.